It's not uncommon to hear her grouped together with poets like Saul Williams, jessica care moore, and Tracie Morris, given Smith's talents as a performer of her verses. On the other hand, in the anthology, Angels of Ascent: A Norton Anthology of Contemporary African American Poetry (2013), Charles Rowell places Patricia Smith in the "Second Wave, Post-1960s" section, which includes Elizabeth Alexander, Thomas Sayers Ellis, Terrance Hayes, Major Jackson, Carl Phillips, and Sharan Strange, among others. By generation, she is a contemporary of Rita Dove, Cornelius Eady, Thylias Moss, and Harryette Mullen. However, during a stretch in the 1990s, Smith was establishing herself as a journalist, not necessarily a literary or print-based poet, which might explain the 13-year gap between Close to Death and Teahouse of the Almighty. Whatever the case, Smith has been really productive over the last 10 years. She has a new book -- Incendiary Art -- coming out in February. Along with Tyehimba Jess, Smith is one of a relatively small number of poets well-known for performance who have also earned prestigious literary awards for her verse on the page. That's rare. 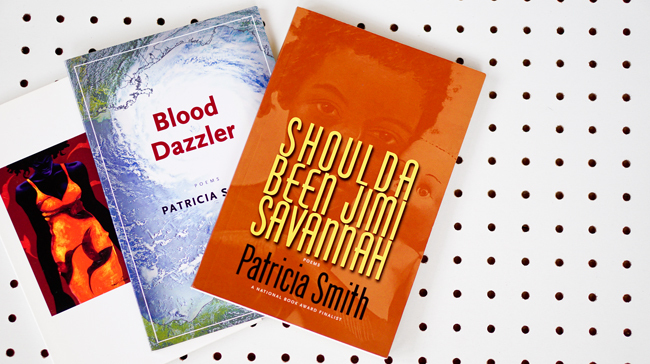 All of this is to say that it's both difficult and exciting trying to situate Patricia Smith's work in the histories of contemporary African American poetry.